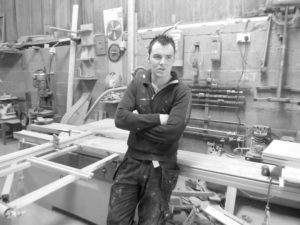 Established in 2009 by Shane Tubrid Shane Tubrid Furniture provides a Bespoke furniture design and make service. 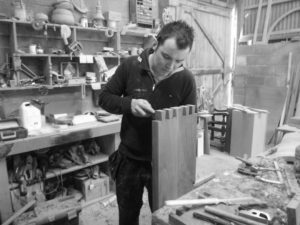 Shane immediately started working with one of Ireland’s most highly acclaimed furniture makers where he acquired a variety of skills and an appreciation of true quality in furniture design and making. 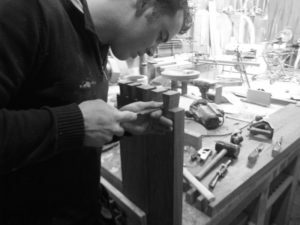 It had always being an ambition of Shane’s to establish his own business and to gain a reputation for designing and building one off bespoke free standing ffurniture where meticulous attention to detail is observed at all times. 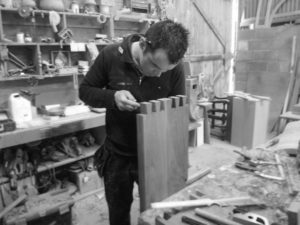 As the business has grown, the core principals of which the business was established remain unchanged, the skill, craftsmanship and attention to detail that goes into every piece we make is still fundamental to everything we do. Its the small details, the selection of only the finest materials and the understanding of form and technique that goes into all our work that makes your commission a unique piece of Irish craftsmanship. We work with mainly private individuals, Interior Designers and Architects to build a piece of furniture that will both fulfil the clients individual needs and where their influence is apparent in their commission.